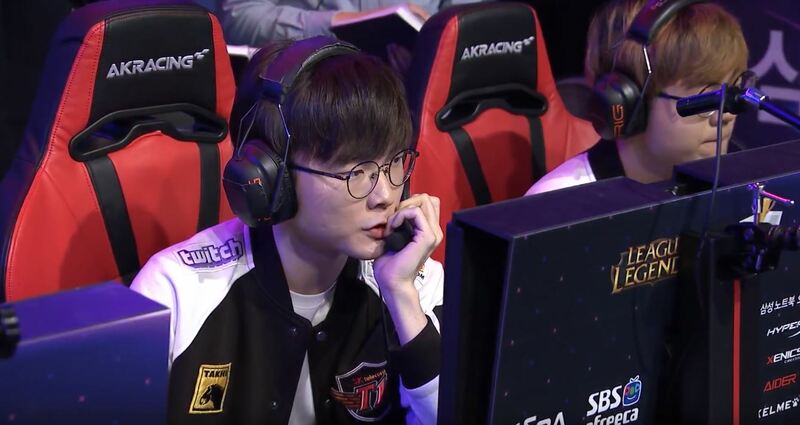 If you’re an SK Telecom T1 fan, you probably aren’t going through the best of times right now. Your team had what could be considered the worst year in the club’s history, and they just flopped in the knockout bracket of the KeSPA Cup to a brand new team, DAMWON. We’re here to tell you, however, that there isn’t really that much to worry about. There is a light at the end of the tunnel, and after seeing their performance at KeSPA, we’re convinced this new roster will be the ones to reach it—even with their 2-1 loss to DAMWON. Oh, and don’t forget 2014, which, was even worse than 2018. They came back from that, didn’t they? If anyone can do it again, it’s SKT. There was evidence all over SKT’s KeSPA run that this new squad has a high ceiling. That’s not to say that they’ll definitely perform better than the 2018 team, but it’s looking good so far. For starters, even in their losses, they continued to roam around early, make huge plays, and keep the pace up. The 2018 squad seemed to shut down way faster, which can be attributed to a morale issue or whatever else, but it still happened. This new team, built around Lee “Faker” Sang-hyeok, keeps the pace fast, and most of their bad moments could be attributed to throwing more than just playing behind. And silly throws can be fixed with some practice and experience. Keep in mind, this was the first time this team played together at all, so there will be plenty of time for practice and experience. Another thing to look at is the team’s carry potential. For years, SKT has been the Faker show. That’s not a bad thing, but in 2018, that theme hit an all-time high when SKT’s only reliable carry was Faker, and he clearly couldn’t do it all himself anymore. This new team has options for days. You can look to the top lane or the bot lane for an early to mid-game carry, and jungler Kim “Clid” Tae-min, who played the tournament over Kang “Haru” Min-seung, seemed versatile enough to support each of them. If the 2018 squad lacked anything, it was options, so that fact alone is very good for SKT’s upcoming 2019 run. It seemed, at least based on the games they played, that they’re starting off on a better foot than they were at all year for the last season. There are some clear jitters and uncertainty, but this is an almost completely new roster, and we expected some speed bumps even in the best-case scenario. With some time and communication improvements, this SKT could be a very scary one. So, if you’re an SKT fan, don’t give up on your boys just yet. Give them a little more patience.